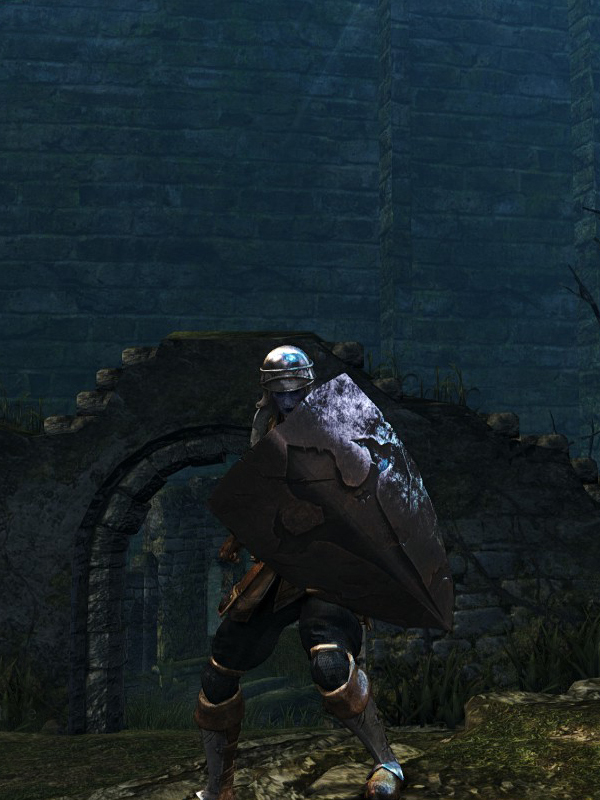 Metal shield wielded by Hollow soldiers. Shield durability reduced to 25. Base damage increased. Cannot repair weapon (except through reinforcement). Fire damage added. Fire damage reduction increased. All stat bonuses removed.